What return to home! And to be greeted by Maggie and Nature in the double embrace of love and beauty. Who could ask for anything more? 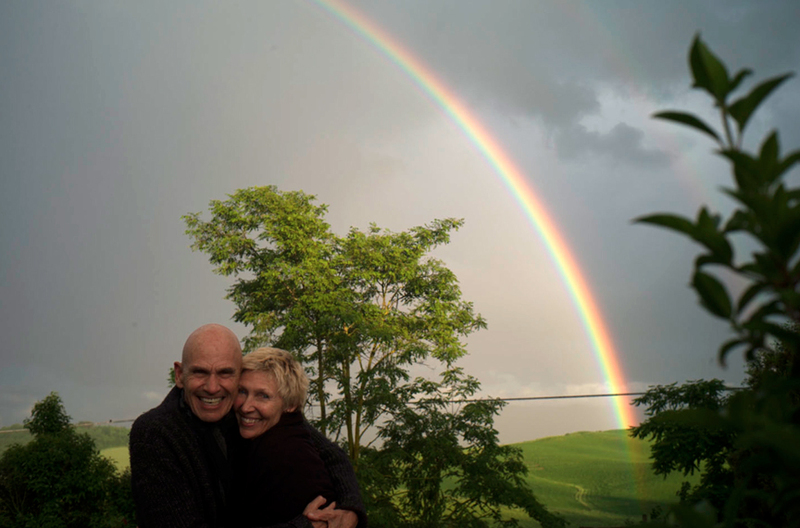 This entry was posted in Rainbow, Tuscany and tagged Landscape, Light, Maggie, Rainbow, Tuscany on May 17, 2015 by joelmeyerowitz2014. Looks like you both found your pot of gold at the end of the rainbow. How wonderful!